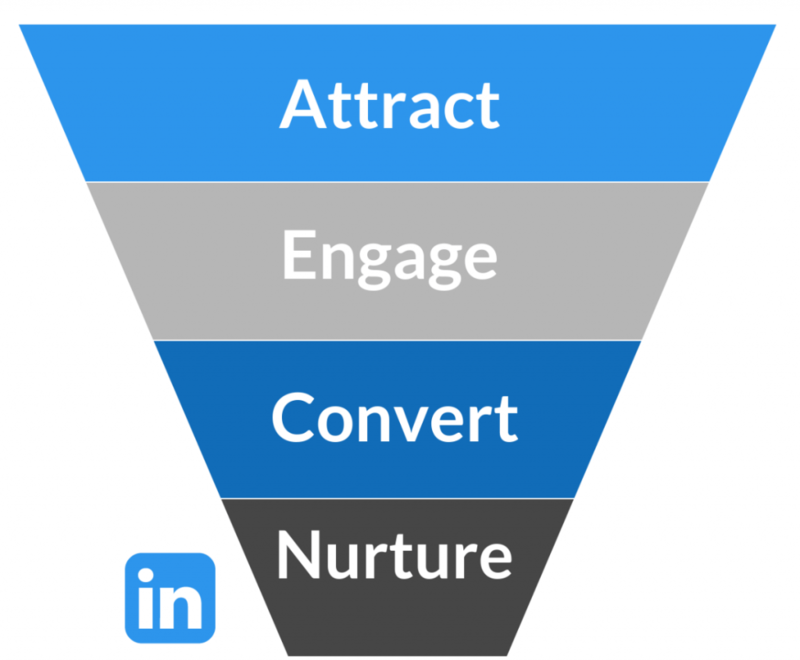 If you’ve already read our article on the benefits of social media recruitment, then you will understand just how useful a tool like LinkedIn can be to recruiters. With over 500 million users globally, LinkedIn offers a colossal online database of professionals looking to get noticed for their business acumen. The very size of such a platform can also be a downfall though, as it can become hard to identify the highest quality professionals suited to your vacancies. This article will help to tackle such a problem, giving helpful tips on how to find that needle-in-a-haystack candidate. Recruiting as a profession has evolved significantly over the last decade. With the seemingly infinite growth of online social communities, access to relevant talent has never been so easy right? Kind of. Even though contacting potential candidates (no matter where they are) has become easier, identifying the best candidates has become much harder. Metaphorically speaking, LinkedIn to a recruiter is like a sweet shop to a kid. You can see hundreds of delicious looking treats, but only choose one. How do you know which is the best? Some may look nice but actually taste like soap. How can you separate the stinky sock jelly beans from the bubblegum bottles? I may sound like Captain Obvious here, but the key to finding the right candidate is in how you search for them. LinkedIn offers a really useful search tool that allows for refinement on multiple levels. You can search for people by job title, location and even what company they work for. Utilising these parameters will nullify the chances of you spending an afternoon aimlessly clicking through a cyberspace directory of hit and miss candidates. Once you’ve done this, you can then narrow down your search even further by specifying a location. Whether you’re a single-site company or recruiting for multiple locations nationwide, this allows you to hone in on talent within a specified proximity to the business. This is helpful as many studies have found that lengthy commutes can have an adverse effect on wellbeing and health. Appealing to local talents will prevent such a hurdle from ever occurring. As you can see from the image above, there is a broad range of search options available to you, from schools attended to companies worked for. If you are a LinkedIn Premium member (which would give you a distinct advantage as a recruiter), you can search by seniority level, years of experience and group memberships too. Along with a list of connections you may already have, you’ll see three clickable options at the top: jobs for Copywriter titles, people with Copywriter titles and groups about Copywriters. For the purpose of a recruiter, the second two are the most useful. Clicking on the ‘people with Copywriter titles’ option will direct you to a list of thousands of Copywriters on LinkedIn. While this is great, it presents an unmanageable task that is far too large to sift through. The list that you’re left with might be highly specific to your needs, but the job isn’t finished just yet. 90% of these professionals are likely to already be in a role. There will be the odd few who aren’t, in which case they will usually list ‘seeking new opportunities’ in their job title section. These people are worth a look as their experience could be relevant and the reason they are out of work at that moment shouldn’t put you off pursuing them. Another factor to consider (particularly in the copywriting / creative industry) is the potential of finding freelancers. Whilst most freelance professionals enjoy being self-employed and are unlikely to consider working for somebody else again, some may need to consider full-time employment for financial reasons – so approaching these people is not a lost cause. Adler goes on to discuss how contacting as many people as possible and ‘cyber-sleuthing’ for skills is a laborious and ineffective process in comparison. The quality of the candidate you find is ultimately a reflection of your resources and ability as a recruiter, so you need them to be as perfect as possible. Getting through to the ‘perfect’ candidate can be difficult though. They are probably reluctant to connect with an unknown recruiter and, let’s face it, there are hundreds of other recruiters out there doing what you’re doing. This part is kind of like dating. If there is an attractive girl (or guy) in a club, they are probably batting off potential suitors with a stick. So you need to stand out. But how do you do this effectively when competition is so fierce and talent so frugal? Welcome to the next benefit LinkedIn offers to you: referrals. About 80% of recruiters say the best channel to recruit quality candidates is via employee referrals. They usually take less time to hire, are a better cultural fit, higher performers and stay longer. 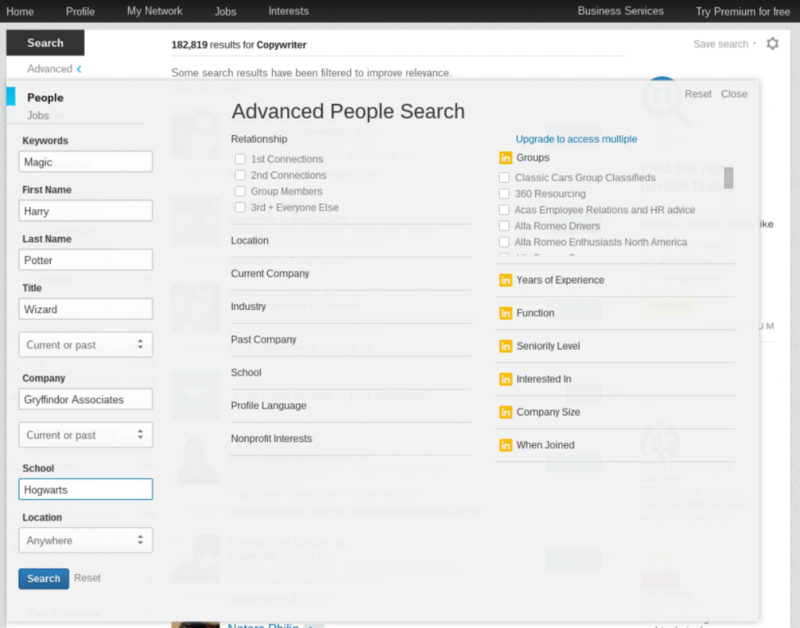 Recognising this, LinkedIn introduced a new product called LinkedIn Referrals. This automatically identifies your existing employees’ first-degree contacts that are a good match for your open job advertised on LinkedIn. The software then sends a summary of these matches to your fellow employees every couple of weeks or so, to increase engagement. Pair this technique with incentives and bonuses on offer (provided you hire one of their connections), and you have a pretty potent referral scheme at your fingertips. As a recruiter, you have to ‘sell’ the role you’re advertising and make it appealing to the right people. This is the attraction part. From clear job descriptions to accessible company information and contact details, attracting the best candidates starts with the basics. Next you have to engage with those people and explain to them why they are such an excellent fit for the role. You need to tell them what’s on offer in terms of reimbursement, benefit schemes and responsibilities. After these steps you have to ‘seal the deal’ and convert your potential candidate. This can involve anything from objection handling, calming all concerns they might have and offering solutions to any hurdles they could face. Lastly, once you have managed to convert the candidate and essentially bring them on board you need to nurture them. Nurturing a top talent not only helps to improve employee retention, but it also helps to save costs in the hiring process AND aids the development of a family environment within the workplace. If you don’t fancy traipsing through lots of candidates (but let’s face it that’s part of your job as a recruiter) you are probably wondering how you can find relevant talent even easier. Let them find you, that’s how. LinkedIn has many different groups and communities which act as satellites to particular industries or fields of work. Joining these boards puts you in amongst a crowd where there could be potential suitors to your vacancy. Even if there aren’t, simply being within that circle will give your company / job advertisement exposure and (as we know from the power of social media) that alone could find the right person through sharing, networking or simply word of mouth. Industries that have a wealth of communities include Automotive (design, engineering, sales, management), Creative (SEO, Copywriting, Illustration) and HR (Talent Management circles along with law update groups such as Acas, HRCI). But how do I find the active jobseekers? Around 20% of the employed workforce in the country are actively seeking jobs. Although this figure seems low, 20% of the 20 million-plus UK users of LinkedIn is around 4 million. In addition to this, there are thousands of passive candidates that will become active once they become aware of a relevant and exciting opportunity for them. Providing your role doesn’t require ‘X’ amount of years experience, students and recent graduates are a key group to target when looking for jobseekers. LinkedIn has that area covered too, as around 40 million new graduates had profiles in 2015 – making them the networking site’s fastest growing demographic. A third way to find active jobseekers on LinkedIn is simply by searching for the terms “actively seeking” or “seeking employment”. Although this won’t necessarily guarantee a search result containing the most suited candidate, it will find relevant professionals who are currently looking for work. A trial search of the term “actively seeking” returned over 180,000 results, which can then be narrowed down by location, industry and skills. What starts out as a seemingly vague stab in the dark, ends up a well-refined search yielding promising results. Now that we’ve mastered finding relevant talent, it’s time to understand how to screen the best ones from their profiles. This can be a difficult issue as I happen to know not all highly qualified professionals spend a lot of time on their profiles. Let’s take a look at an example of a great profile and see what makes it so… well… great! Of course profiles will vary a lot when it comes down to how detailed the sections are. Jeff Weiner boasts a huge amount of connections and therefore has many endorsements. When searching for your candidates, it is important to pay attention to who has given them the endorsements and recommendations. My closest friend is an award-winning Sports Physiologist, holding a collection of degrees and shed load of experience, yet his LinkedIn profile is very sparse. Sure it’s got the basics on there, but fails to outline his publications or awards and has zero recommendations or endorsements. Even though he probably knows hundreds of other science professionals on LinkedIn, he has less than 50 connections. Now I happen to know this guy is a huge deal in the sports science universe, as he’s been published alongside some of the highest ranking Professors worldwide, but a passing employer or recruiter wouldn’t know this. The point I’m making is that some candidates will set up a LinkedIn profile just to ‘be on there’. This doesn’t take anything away from their skill-set or abilities, it just shows that they perhaps don’t have the patience for (or see the values in) social networks. Unless you’re looking for a Social Media Manager, this is absolutely fine. You should file these under ‘mystery candidates’ – as ones that require further investigation. In total contrast to the aforementioned, this candidate clearly sees the value of having a comprehensive Linkedin profile. They will almost always have over 500 connections, as they fully understand the concept of making themselves visible to opportunities. As a result, these candidates are probably more approachable and responsive to spontaneous job opportunities landing in their inbox. Their profile reeks of professionalism, with reams of qualifications, work experience, volunteering and any other valuable course they may have completed. From First Aid to Duke of Edinburgh awards, no accolade is too small to mention. They are also likely to have multiple job titles, arranged in the style of a shopping list. They will utilise a lot of visual elements and most likely exhibit a large selection of blog posts. They’ll collect endorsements like stamps and have more recommendations than a michelin star restaurant. Their profile picture is more than likely taken on an SLR and there is a high probability it is finished off in a Bogart-esque black and white filter. Okay, maybe I’m stereotyping a little here. Once again, the point I’m getting to is that these ‘bells and whistles’ candidates will give you plenty of information to go by, allowing you to build a thorough mental profile of what they’re all about. The presentation of their profile is a testament to their meticulous nature and pride in their achievements. Regardless of the role in question, these candidates will be proficient at social interaction and complete tasks to the highest standard. Lastly we have the candidates that sit somewhere in between the previous two. They will have made a moderate effort to jazz up their profiles, but may have some sections missing along the way. There can be many reasons for this but the most likely is that they work in a sector that simply doesn’t require it. Although slightly understated, you’ll be able to garner enough information from their profile to understand whether they would be a potential match for your role. Much like the ‘undersold’ candidate, they will require further investigation in order to build up a more reliable portrait of their skills and experience. Now that we’ve spent a fair amount of time analysing, scrutinising and (maybe a little) generalising candidate profiles, it’s high time we take look at your own. After all, should a top candidate receive a message from a recruiter on LinkedIn, what’s the first thing they will do? They’re going to go and check your profile out of course. Much like the tips above, giving your profile a professional and ‘well-used’ edge will always prove advantageous in the recruiting world. Get as many recommendations as you can from past clients, list notable companies you’ve assisted in recruitment and make yourself easy to contact. Although a little more out of your hands, ensuring your company profile is presented in the most professional way will also add to your credibility. A clear logo, company bio and list of any significant clients are the basics of good company profiles on LinkedIn. In summary, finding top talent on LinkedIn is a relatively easy process, providing you know how to use the platform efficiently. As a recruiter, being familiar with LinkedIn is important (understatement of the century) if you are going to have any hope in sourcing the highest quality talent. The internet and social networking really is a gift and a curse though. Whilst, on one side, you are able to get in contact with these people in a matter of minutes, the issue you face is competition from other companies and other recruiters. The most qualified candidates are likely to be approached by recruiters more regularly than David Beckham is approached by modelling agencies. To stand out from the competition you need to be upfront, honest and clear when it comes to the job description, location and salary on offer. Now go forth, utilise these new-found skills and fill your company with the finest talent in the land. Just don’t forget to send me the 20% commission charge for my Yoda-level advice. How are recruitment agencies using social media and what are the benefits?